Repairs to your heating system are performed by professionals who know exactly how to solve the problem. Let’s get your heat and hot water running again. HVAC Systems function to keep you cool in the summers and warm during the winters. Boiler Repair Suffolk County and Air Conditioning Repair Long Island offer HVAC installation, repair, and maintenance. The HVAC Repair Long Island operators also provide check-ups. During the winters, Frozen Pipes Long Island provides repair services on your clogged, frozen and rusted pipes. Thorough cleaning can be expected to guarantee maximum efficiency of the unit. 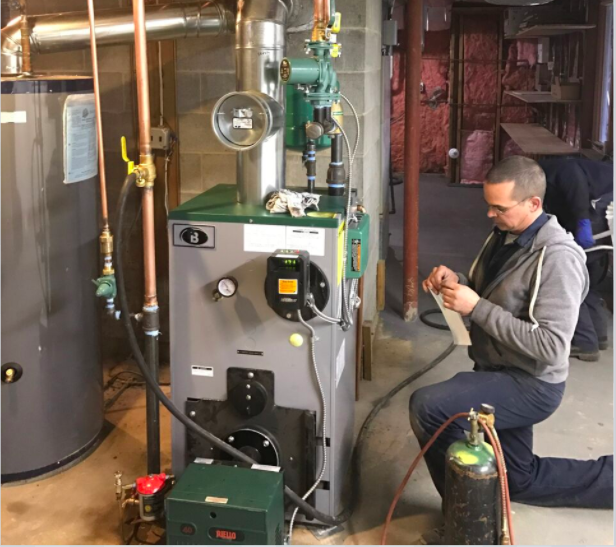 Gas Heater Repair Long Island, complementarily, will get your heat and hot water running again. And during spring, be assured that your Air Conditioning unit will keep you fresh with our coverage on AC routine maintenance. DIY steps offered on the internet can do minor repairs. However, if you want someone to do the work for you, Boiler Repair Long Island is just a call away to relieve you of your distress. Remember that a well-maintained unit is more beneficial in the long run. Check for your thermostat, furnace fan, and furnace circuit breakers for any signs of worn out. You can contact us for inquiries on services and parts to buy when a defect is observed. When your heating system breaks down, it is a very frustrating experience. We understand, and the Ryan Anthony team is here to assist in getting your system up and running. Our pricing is always fair, and we use the absolute best in equipment. Our commitment to quality makes sure that the job is done right the first time, saving you further annoyance and system downtime. There is no shortcut to a job well done. You can count on us! You can visit our website at www.ryananthonysheatingservice.com or contact HVAC Repair Long Island at (631) 422-0294 for inquiries or requests.